From the early look of it, it doesn’t seem like gamers are tired of the BR genre. Apex Legends was released yesterday during a livestream on developer Respawn Entertainment’s channel. 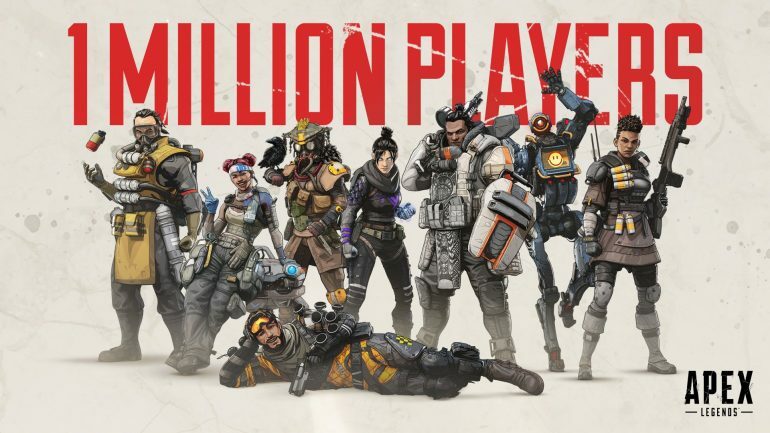 This morning, less than eight hours after launch, the game has already hit 1 million downloads according to Respawn CEO Vince Zamella. I’m so overwhelmed right now, @PlayApex broke a million unique players in under 8 hours. ❤️❤️❤️ Thank you so much for showing up and being part of this with @Respawn you are amazing!! That’s an incredible start for any game. For reference, it took several days for the smash battle royale hit Fortnite to achieve the same milestone. When Apex was released, there was concern over overcrowding in the BR space. Those concerns look so far to be unfounded as players are flocking to the free-to-play game set in the Titanfall universe. Respawn invested a lot into the launch of Apex Legends, partnering with top content creators on Twitch to stream the game and increase its visibility on its first day. That worked with various Apex Legends streams reaching over 500,000 concurrent viewers. As of writing, the game still has over 400,000 viewers across different streams. It remains to be seen how enduring Apex Legends’ popularity will be. But this is still a massive win for the development team who are entering a brand-new genre.